Quarter SI is a product that specially designed for Apple pencil. It's a connector and holder between Apple pencil and iPad Pro. This product was designed to keep the Apple pencil without missing from the user. The Quarter SI have been coated in multiple colours. The main colours would be Black and White. 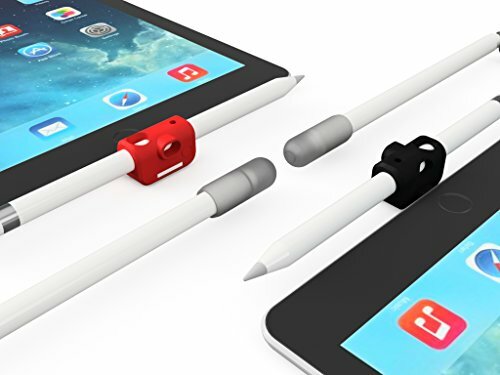 This product is a multifunctional where the user can hold, dock, charge and lock the Apple pencil. By connecting the Quarter SI in an iPad Pro, slide in the Apple pencil in and it's tight enough to hold the pencil firmly. Now, user can carry out the Apple pencil without missing it anywhere. Once, the user wants to use fingers freely on the iPad Pro, dock the Apple pencil on Quarter SI. With just a little turn, the Quarter SI can hold the pencil once the iPad Pro charge in. Quarter SI lock and make sure that pencil Lid/cover will never get missing. It is securely locked and worry free. The product is 100% made from high grade silicone which can endure soft scratches. However, nothing could be unbendable under extreme pressure/stress. Therefore, kindly handle Quarter Dock with care while using.